Celebrating its thirteenth season in 2018-2019, Shumayela, a choir for treble and changing voices, continues to expand its horizons, develop its membership and satisfy a variety of musical tastes. 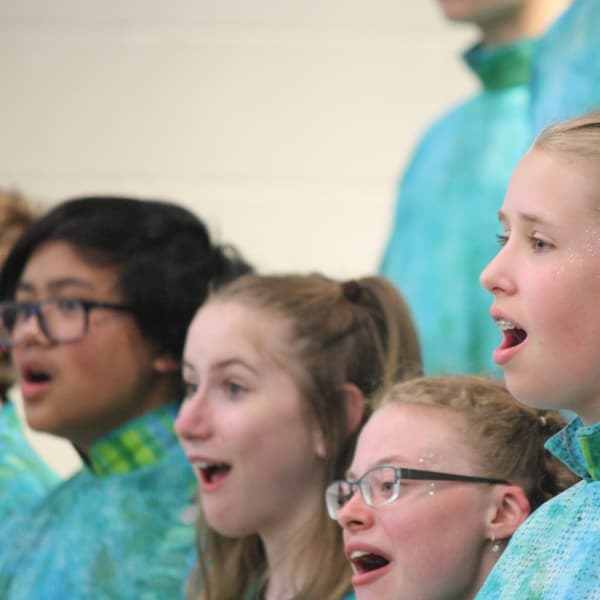 The choir has toured throughout British Columbia and Alberta, performed in Ottawa at the Unisong festival for Canada Day, and in May 2016 the group was featured at the prestigious biennial choral conference for Canada, Podium, right here in Edmonton. Wherever the choir travels, they spread the joy of music-making and hope to bring communities together through song. Highlights for the most recent season include a tour to Germany to participate in the Dresden International Children’s Choir Festival in April 2018. Plans for the coming year include another major tour to New York City in the spring of 2019.